A Colorado native, Scott was reared in LaSalle, a community his great-grandfather helped found. Scott's great-great-grandfather was LaSalle's second mayor. Scott’s grandfather was born in Evans in 1898. His mother was born in Greeley in 1937 and graduated from Greeley High School with the iconic class of 1955. Scott played football in the old WELCO League for Valley High School and went on to graduate from Northeastern Junior College, Aims Community College, and Colorado State University. 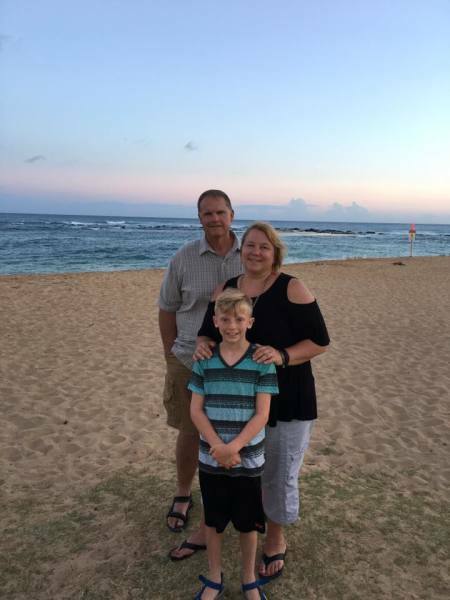 He now lives with his wife, Julie, and son, Jack, in Johnstown, not 15 miles from where he worked and played as a Weld County kid. During High School, Scott worked at Miller Feedlots and at BeeBe Draw Ranch. Members of his extended family still farm south of LaSalle. Upon graduating Valley High School in 1981, Scott was elected to serve a year as the Colorado FFA Association’s State Vice President, representing Colorado agriculture and agriculturalists both state and nationwide. At Northeastern Junior College Scott majored in Agriculture Education. A friend introduced Scott to the radio business and fate was sealed. Scott landed his first radio job at KSTC in Sterling and subsequently chased the radio business to stations in Kansas and Texas. In the fall of 1990, Scott was led back home to Greeley, where his work at local radio outlets has made him a familiar face and voice to Northern Coloradans. 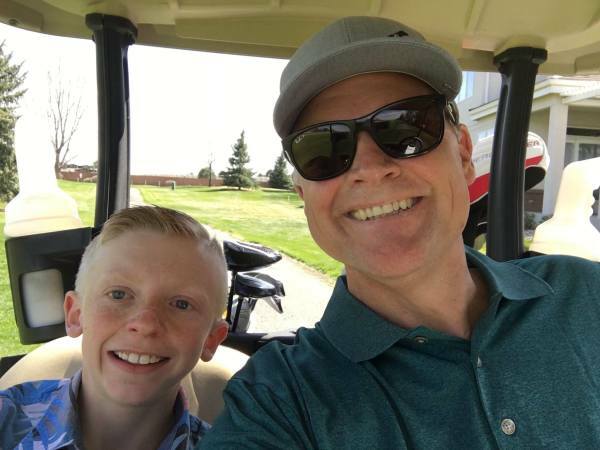 Scott is currently “the old, ugly half” of Scott and Sadie in the Morning on iHeart Media’s Big 97.9 and 100.7 KOLT FM and enjoys entertaining and serving Northern Colorado via his extensive charitable work and community involvement. 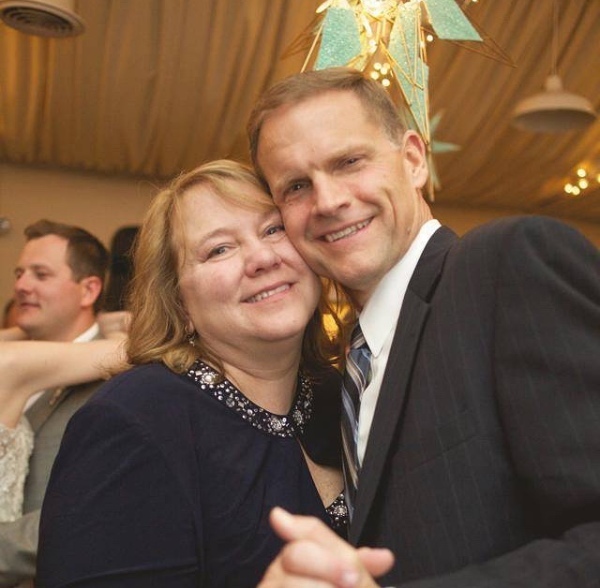 In 1997, Scott and Julie moved to Johnstown and made it their home. Concerned with the completion of their subdivision, Scott attended a Johnstown Planning and Zoning Commission meeting to air his grievances. He soon found himself appointed to P&Z and quickly becoming its Chairman. In April 2002, Scott ran for and was elected to his first term on Johnstown’s Town Council. He was re-elected in 2006, 2010, and in 2014. In 2016 Scott was elected Mayor of Johnstown. 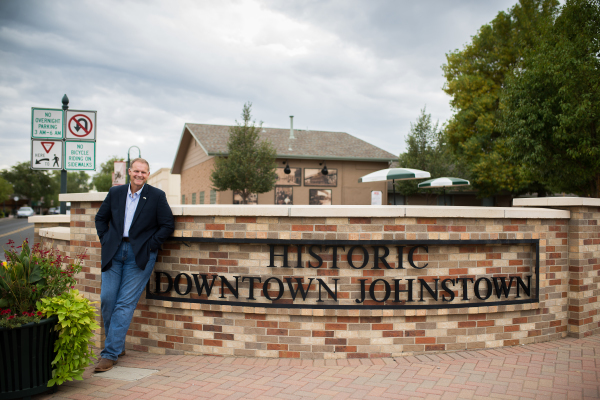 Under Scott’s leadership, Johnstown has grown from 3,200 people to nearly 16,000. When Scott was elected to council, Johnstown had $13 million in debt. Today, Johnstown is a debt-free municipality with ample reserves. At Scott’s encouragement, Johnstown is in the process of constructing a $28 million Community Recreation Center and is doing so without incurring debt. Johnstown has grown to be recognized as a regional leader in transportation, contributing $7 million toward the expansion of I-25. Like you, Scott loves Weld County. With its foundation firmly planted in agriculture and energy, experts agree that Weld’s future is bright. Our people are hard-working, honest and industrious. Weld’s natural and human resources have barely been tapped. Straight-talk and handshakes still mean something in Weld County. Yet sadly, Scott had grown concerned about the county he loves. Scott has a heart for the people of Weld County and wants to ensure that their government is as honest, transparent, and hard working as they are. Dishonesty, divisiveness, and “politics as usual” have soured national and state governments and now have made their way to Weld County. Weld County deserves better. Scott is asking to be your representative from District 2 on the Board of County Commissioners because he is a servant first and wants to help the people of Weld County realize their tremendous potential and be represented by the government they deserve. Scott’s pastor recently described him as a “peacemaker.” Today’s political climate needs servants like Scott – level-headed, pragmatic and practical consensus builders equipped to serve constituents who expect respectful representation and not the furthering of a personal agenda and infighting for political gain.